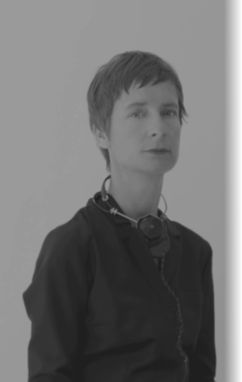 Amelie Duchow’s interest in electronic music grew in the 90s being close friend to several Munich DJs. Getting into a “new world” of DJing and underground clubbing, she soon started to develop her own music style, continously searching for new international electronic and contemporary sound material. In 2003 moving from Munich to Italy her slow minimal ambient sound, presented under her moniker Fräulein Amelie, entered directly into various locations in Florence. In 2005 she presents her DJ set in Italy at the “Stazione Leopolda” in Florence. Several sets follow in Italy as at the “Tune up” with Heinz Tronninger and the Dining Rooms. She joined as an artist the Italian label Suite inc. participating at the label night at “Festival della Creativita’” 2006 with Murcof, Technophonic Orchestra, Drama and Tco. Fräulein Amelie was on stage in various editions of the “Music and visual festival /MUV” in Livorno and Florence, developing her sets to be strong of atmosphere by the mix of glitch, ambient and experimental electronic music. In 2007 in collaboration con Marco Monfardini they launch the project SCHNITT- an artistic italian/german exchange, motivated by the common interest for experimental minimal sound underlined by their visual interpretations. In 2007 the duo Schnitt releases “Pferdchen” - 12” for the Swiss label Invisible Recordings; with Registrazioni Italiane they bring out their tracks on “Minimalismo Italiano” and on the compilation Snob Night for RAI Trade. Fräulein Amelie presents her live mix set at the festival Adrenalina in Rome in 2009, taking a stronger experimental direction mixing micorelectronic sound patterns, with field recordings and minimal rythms. In 2010 Schnitt presents SYNCHROPATH an audio/video project focused on a synchronism as a method of composing. In 2011 SYNCHROPATH is released on DVD. In 2012 Fräulein Amelie presents Pianoform a live mix set inspired by the sound of the piano. The live set Pianoform based on piano compositions is a fusion between strict time lacking sounds and abstract contemporary sonorities. SCHNITT is an artistic collaboration between Amelie Duchow and Marco Monfardini evoked from the common interest in electronic music and visual art. The individual visions and styles from the two artists lead to SCHNITT in a unique form of expression. The duo works in the transitional area between music, art and science focusing with their projects on the coherence between audio and video. The development of their own specialized/innovative software and electronic devices, allows SCHNITT to create complex site specific audio /video installations and live performances. Their use of abstract media material combined with the artists individualistic perception towards tecnology, builds the balance between form and concept of their works. In 2007 SCHNITT releases their first 12” LP for the swiss label Invisible Recordings/IT’S, followed by the compilation “Snob Night” – CD (Video- Rai/Rai Trade) and at the compilation “Minimalismo Italiano” – CD (Registrazioni Italiane). In 2008 Amelie Duchow and Marco Monfardini collaborate on the realisation of Airloop 1.0 an installation and performance based on a video loop of 40 minutes. In 2010 SCHNITT presents SYNCHROPATH an audio/video project focused on a synchronism as a method of composing, released on DVD and 12” LP. With SYNCHROPATH, SCHNITT participates at several international music/new media festivals as the Elektra Festival/ Canada, Gogbot Festival/ Holland, Blurred Edges/Germany, Open Source Festival/Poland, Robot Festival/Italy. In the same year they launch the platform for audio visual artists Sync, with the focus to enlarge musical experience through concepts expressed in new forms of video and sound. For the opening of the lighting installation GROWING BY NUMBERS in 2011 at the Grattacielo Pirelli in Milan, the duo accompanies the event with a site specific sonorisation. SCHNITT presents the audio video live performance MEMORY CODE a project focusing on the visual memory during the festival ePhil in Germany. In 2017 a new version of MEMORY CODE is presented in behalf of the reopening of the italian museum for contemporary art Centro Pecci. On the canadian label Yatra arts SCHNITT releases in October 2017 a remix for Minim_50hz.